Elastomeric coatings are one of the most effective ways to solve roof leaks and can essentially be used to stop leaks on any type of roof. The word “elastomeric” represents the “elastic” properties of the product which helps address stretching that can occur during hot summer days, but the product returns back to its original shape without causing any damage to the roof itself. 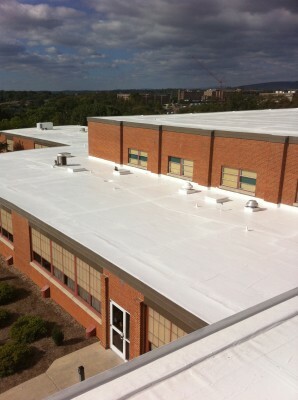 Elastomeric coatings are a favorite of many commercial roofing experts because of its durability and its reflective white coloring. Unlike typical paint which is applied as a thin layer, elastomeric coatings need to be applied to roofs liberally to maximize water resistance and lasts for years to come. If you have water stains that extend across ceilings or run down walls, the cause is probably a roof leak. This could affect your business and also be a risk for your employees. We can help you fix the leak with our elastomeric roof coating solutions. Here at American Enviromental Service, we specialize in commercial roof repair and replacement and can assist you with elastomeric coating sales and application. Whatever type of roof you have, American Enviromental Service can help with a coating solution to your new or old leaky roof. With offices in Virginia, Ohio, and the Carolinas, we specialize in both hot and cold weather climate solutions. American Enviromental Service coating products are designed to be installed in both extreme hot and cold climates, backed by the best warranties in the industry. AESC is a name that can be trusted on account of its experience and quality of work delivered. 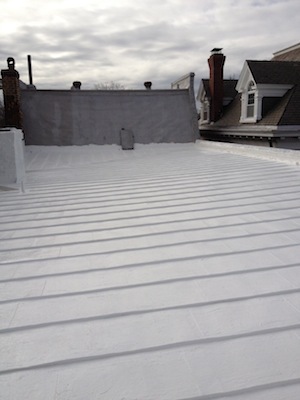 With over two decades of experience in the industry, our skilled professionals are well versed with all the necessary techniques needed to implement the Elastomeric Roof Coating. We specialize in all types of commercial buildings and also offer warranties of 5, 10, 15, and 20 years depending on the job done. 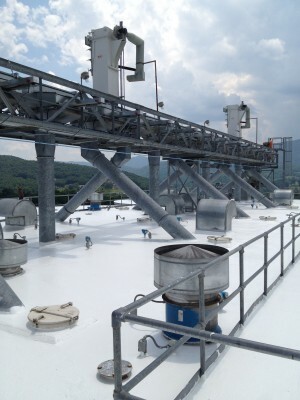 We are one of the leading providers in elastomeric roof coating in Virginia, North Carolina and many other states. We offer services like roof repair, roof replacement, maintenance, and roof coating in Virginia, Ohio, North Carolina, South Carolina, and Suffolk.